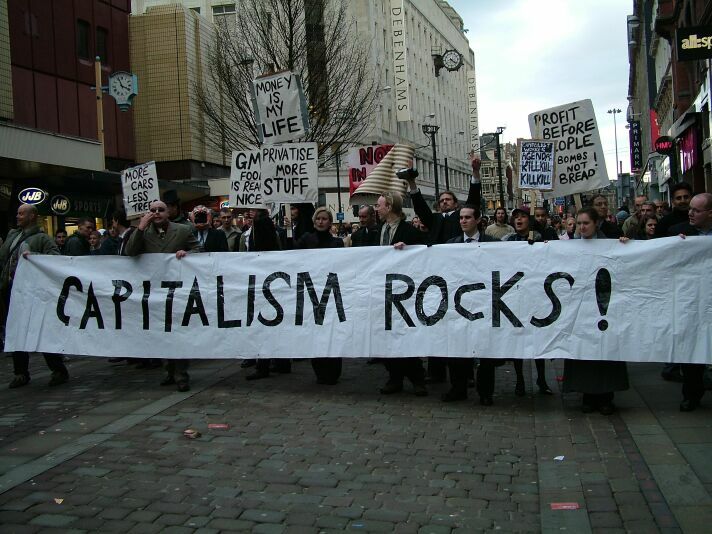 Christianity and Capitalism- to resist or to accommodate? I have been dwelling on economics over the past few weeks. One of the things that has often troubled me has been the role that Christianity has had to play in developing a culture of enforced inequality, both locally and globally. At best we have become guilty by association, at worst we provided the moral justification for the whole shebang and then enshrined it in liturgy. Jason Clark has an interesting piece on his blog about the relationship between Evangelicalism and Capitalism, particularly in the US. It is a tough read, but basically, he contrasts two potential kinds of analysis which he characterises as ‘Cultural dispisers’ and ‘Cultural accomodators’. William Connolly, in his 2008 work Capitalism and Christianity, American Style, sets out firstly to diagnose how the ‘capitalist project’ has been perverted and warped by its resonant relationship with conservative right-wing Christian religious beliefs. Connolly describes how this relationship between an Evangelical right-wing ethos and capitalism is best understood through ‘assemblages’ of media, churches, cultural consciousness, and a ‘spiral of resonances’ that produce the Evangelical capitalist resonance machine. Connolly’s response to this contention and diagnosis is to suggest that it is within an alternative and ‘counter political movement’, a democratic and left-wing visualisation of a new ethos, that capitalism might be redeemed. Pete Ward, in his 2002 work Liquid Church, offers an account of the relationship with Evangelicalism to capitalism that contrasts starkly with those of Milbank and Connolly. Where Milbank would warn us of the complicity of the Evangelical Church in conforming to the practices of capitalism, and Connolly of the pathologies of the Christian ethos that shapes those practices, Ward critiques the Church for failing to embrace commodification as a spiritual practice and suggests that the Church should be engaged with it even more. For ‘rather than condemn the shopper as materialist Liquid Church would take shopping seriously as a spiritual exercise.’ Where the underwriting of commodification by ecclesial practice is inherently evil for Milbank, according to Ward it is a vital and theologically necessary ecclesial practice to the Church. I have not read Connolly’s book, but I have read Pete Ward’s Liquid Church- which is a great book, although I do not think the points made by Jason do it full justice. What Ward was seeking to do was to get the church to engage fully with the culture we are part of- to flow in its veins. He reckons that it is only by doing this that we understand, that we become relevant, that we can become part of the mission of God for our times. I am not sure that this is the same thing as ‘accommodation’. Ward uses the example of advertising as a case in point- he suggested that rather than dismissing all such commercialism as ‘of the world’ and therefore having no spiritual significance for the followers of Jesus, rather we can learn so much about the collective spiritual yearnings of our age from advertising. Is this accommodation, or is it being engaged as thoughtful critics? I am much more convinced by Mike Frost’s book Exiles, in which he compares Christians living in our post-modern, post-Chistendom world to the Jews exiled in Babylon. It is simply not possible to live lives of isolation- neither is it our calling. Rather we have to learn to live as engaged, loving, active agents of the Kingdom of God. This might involve the celebration of aspects of culture, or it might also require us to resist other elements- injustice, prejudice, the power of the strong over the weak. This also brings us into contact with the language of sin and evil- the ways of living that tear into each other and destroy us. The other polarity that Jason proposes in his piece is that of the dispisers. This is not a word I would have chosen to apply to myself in relation to Capitalism- more because I do not think it would be honest. At the same time as asking my intellectual and theological questions about Capitalism I am very conscious that my whole lifestyle is wrapped up in it. By emphasising personal, individual salvation above all else. The only useful purpose of mission is to save people from hell after they die. By embracing success culture. We use the same corporate structures, we reward our religious successes as we would our CEO’s, we value hard measurable outcomes, we construct programmes. We make mission a kind of hostile take over. Business success involves out performing the opposition, and rejoicing in their bankruptcy. So it is that we see any form of religion not our own as our economic enemies. Christianity is a lifestyle choice that requires no change to the way we live our economic lives. Yes, I know there is the old ‘tithing’ argument around Evangelical churches, but we drive the same cars, live in the same houses, take the same holidays, fill our lives with the same gadgets- or (and here is the sting) even if we do not have these things, we aspire to them. We bought into lives characterised by individualism over the collective. The model given to us by the life of Jesus and the early church was all about the collective- how we live for one another, how we hold things in common, how we find ways of including the poor, the weak. Yet these things are not really part of our DNA. We failed to demonstrate any kind of radical alternative. The best that we have been able to offer is how to live as better Capitalists- more sensible, more responsible, with greater probity. We did not see injustice, inequality, poverty, unfair taxation, usury, over consumption, environmental destruction, as any of our business. Which relates to point 1. And where there was visible discomfort with Capitalism, we lacked any coherance, we lacked leadership, we did not become a critical movement. Rather we splintered and focused on totemic side shows live homosexuality and women bishops- all of which is destroying our credibility anyway. Our mission to the poor was conditional on redeeming them to become like us. Difficult one this, but stay with me. There is lots of wonderful Christian history of engagement with the poor from the Salvation Army right through to local soup kitchens. These activities clean up the edges of Capitalism- but also justify the dominant ethos. It encourages us to lift people back into becoming productive consumers. Like us. It does not suggest that the problem might be in any way systemic. So, the question at the head of this piece- to resist, or to accommodate? I think we need to resist what should be resisted, and to where there are seeds of justice, of beauty, of grace- there we should plant ourselves alongside and accommodate for all we are worth. And what would church look like if we took each of these 10 points above and reversed them? This entry was posted in Uncategorized and tagged Babylon, Capitalism, christianity, church, evangelicalism by Chris Goan. Bookmark the permalink.